popCalendar is definitely something you might want to try, especially if you need to glance over a calendar quickly. The application places a calendar at your disposal, which you can access at a moment's notice. It also displays your upcoming events and appointments and it allows you to add new ones. The application is absolutely free and it takes only a few moments to install it on a Mac. 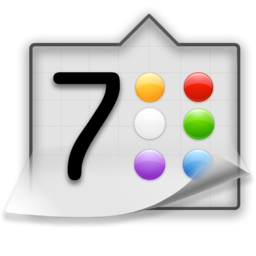 The calendar can be accessed instantly, through an icon on the menu bar. It displays the entire year by default, but you can switch to a month view just by clicking the year, on the top portion of the calendar. You can also jump to the next and previous year or month and return to the current date via navigation options, located in the same area. When you launch popCalendar for the first time, it will connect to your Mac's calendar and contacts apps, to retrieve your contacts and appointments. Selecting a date, in either month or year view mode, will display upcoming events or appointments, for that date, in a pop-up list. You can also add new events, directly in that list. 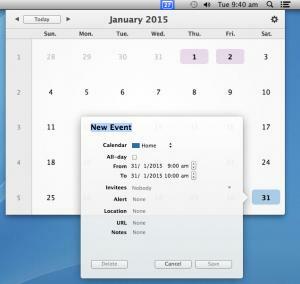 It is also possible to open the Mac's default calendar app, from popCalendar. popCalendar has a clean and simple design and it is very easy to use. The application can integrate with the operating system's calendar and contacts apps, to show your upcoming events on its own interface. Any upcoming event or appointment can be viewed on the fly with popCalendar. You can download popCalendar free here.